One of our little bundles of joy turned one today! Which one….? 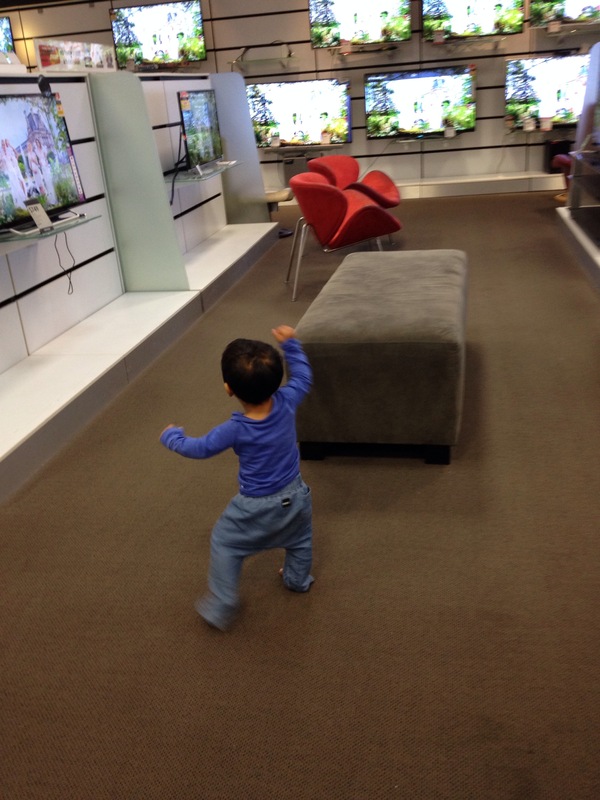 This one …. 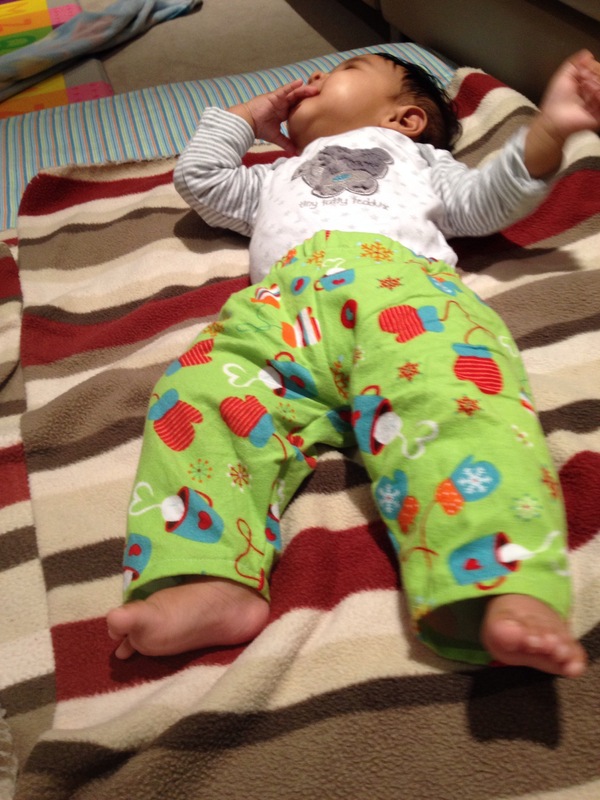 It brings tears to mama’s eyes when really not too long ago, he was only a tiny little munchkin like this…. 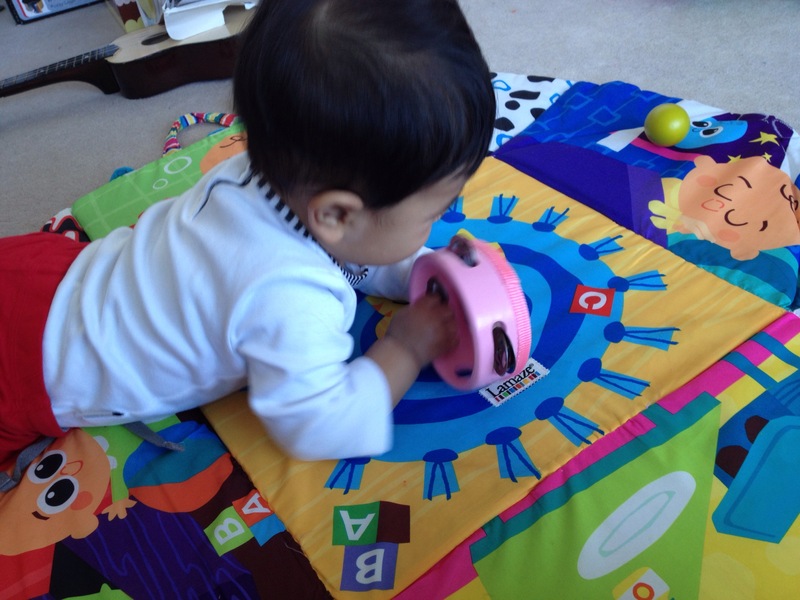 Or a slightly older one (4 months) like this…. 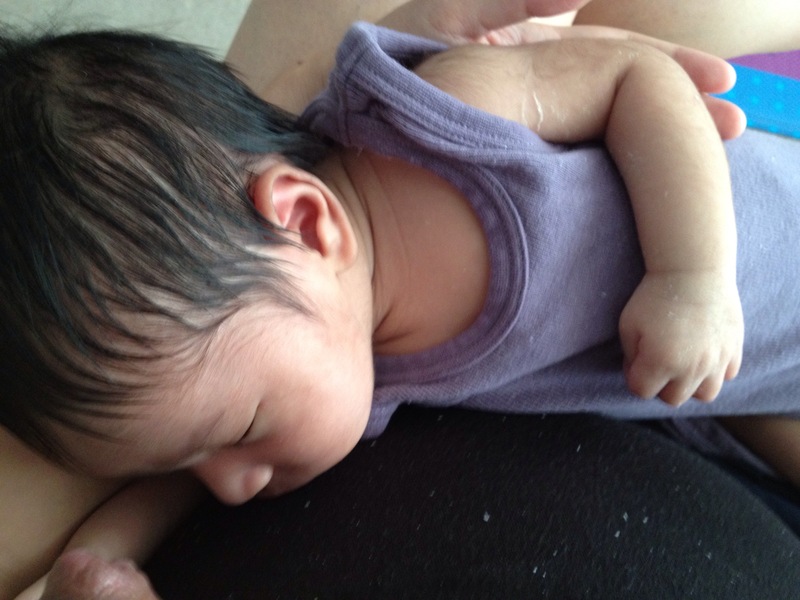 Or this little one at 6 months who was pretty contented to spend some of his time on his tummy…. 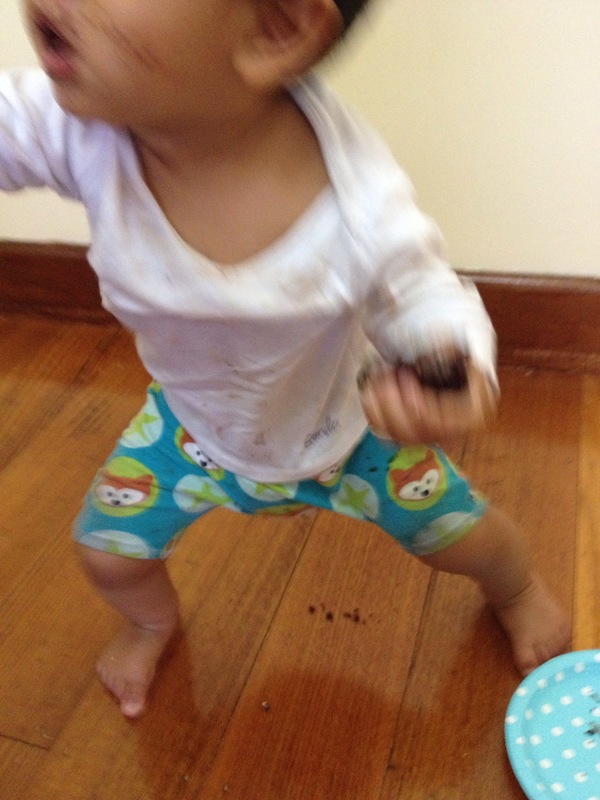 Or even this little crawler at 9ish months who was (still is) crazy about balls…. 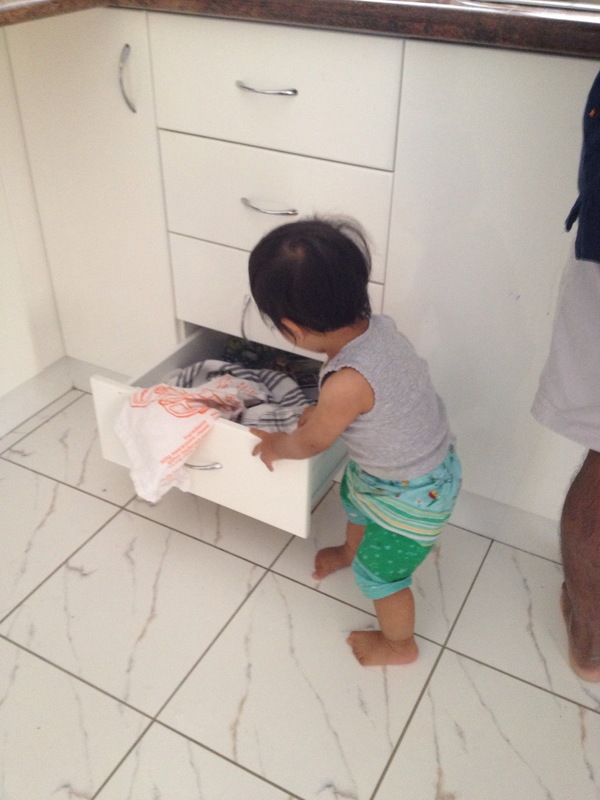 Now look at him now, a mischievous little toddler rifling through the kitchen drawers, just about to pull out all the tea towels and throw them on the floor…. 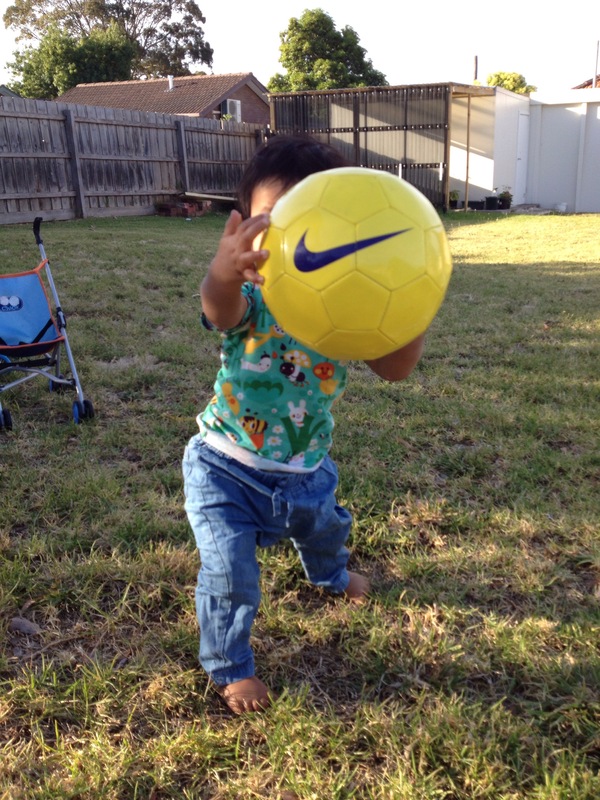 A little boy standing tall and proud, just about to fling the family soccer ball at your face…. 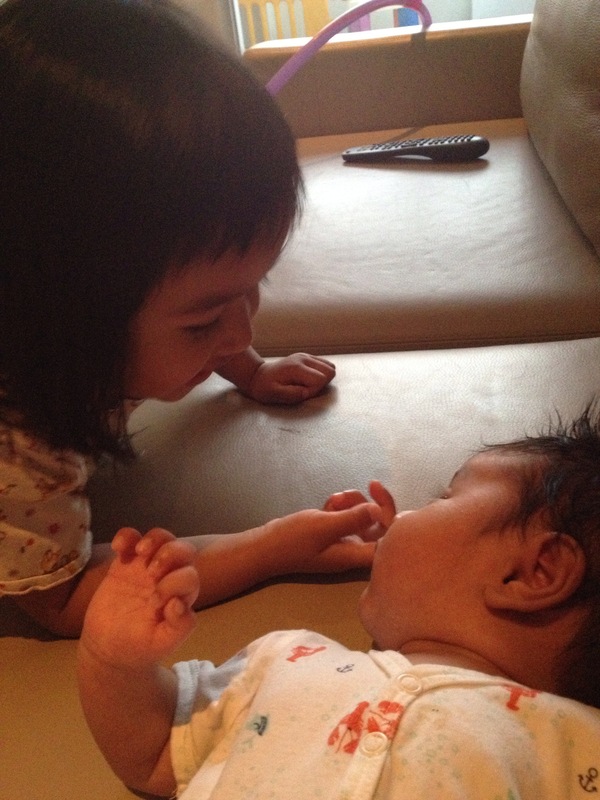 Our lives have definitely been a lot more fun and noisy ever since he arrived, I know Big sister agrees with that, see how she’s just moments away from stuffing her finger up his nose in this sweet moment captured on camera. *Sigh* They grow up so fast, don’t they? Guess I’ll have to have more cake to remind myself of how sweet the last year has been! Happy first birthday Boo! Thanks for a extra memorable and absolutely fantastic year! 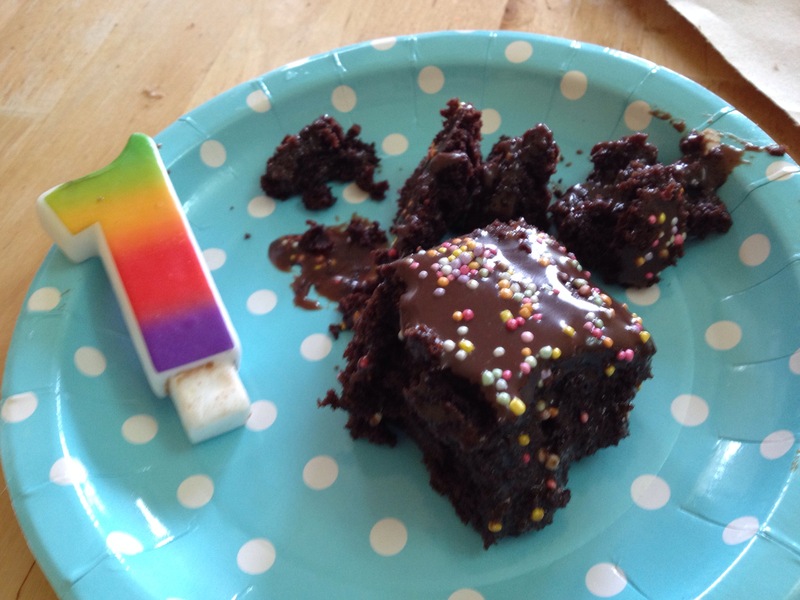 Don’t worry there’s a lot more cake for you to enjoy other than what you have in hand! 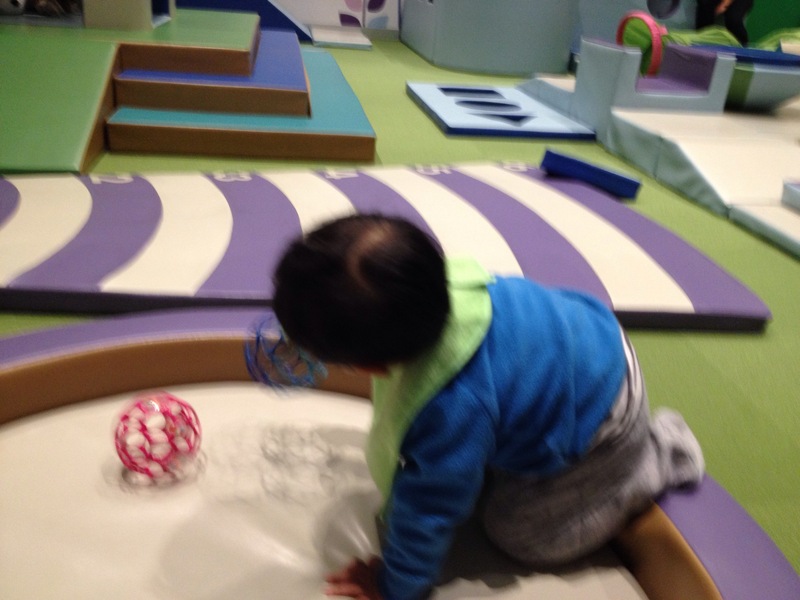 This entry was posted in Activity, Baby, Food, Item and tagged birthday, family, love, memories, parenting. Bookmark the permalink.